Description: American kestrels are 25 cm (9.85 in) in length, reddish-brown and ashy-blue in color, with two black slashes running down the sides of their white face. North America's smallest and most common bird of prey is perhaps the most handsome. The name kestrel is likely derived from the Old French word "cresserelle", which means crest, referring to the bird's reddish-brown back and crown patch. Once called the "sparrow hawk", the name was changed to kestrel because it technically is a falcon not a hawk. Falcons have long, pointed wings and rapid wing strokes. 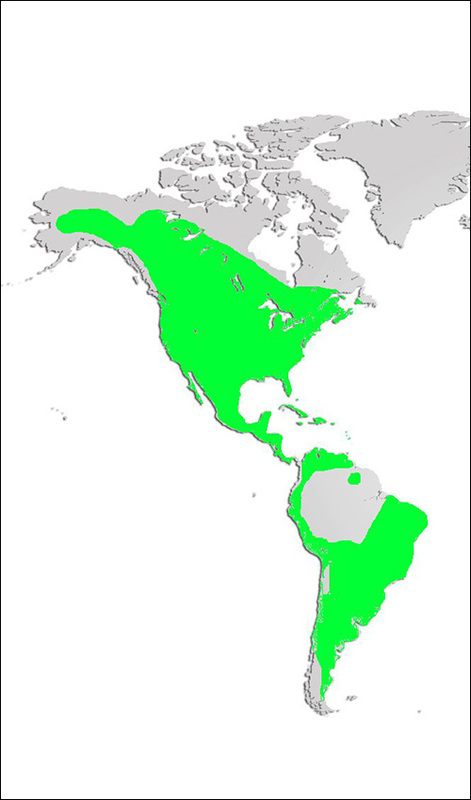 Distribution and Habitat: Kestrels inhabit open areas. These small birds are cavity nesters. They use abandoned woodpecker nests or other cavities, typically in tall trees or telephone poles. Diet: They primarily eat insects, especially grasshoppers, crickets and beetles, but may also prey upon mice, frogs, small snakes and small birds. Life Cycle: Kestrels lay 3-5 eggs in the last two weeks of May. The eggs hatch in 29-31 days and the young are fed for another 30 days. Young kestrels leave the nest between mid to late July. Did you know? 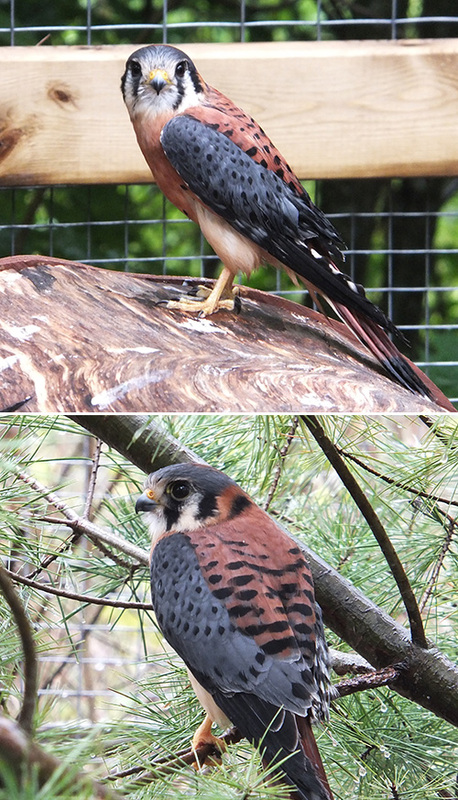 The American kestrel is Nova Scotia's smallest bird of prey. All birds of prey in the Shubenacadie Provincial Wildlife Park came here injured and although partially rehabilitated cannot be returned to their natural habitat.